Ships today if you order in the next 7 hours 41 minutes. 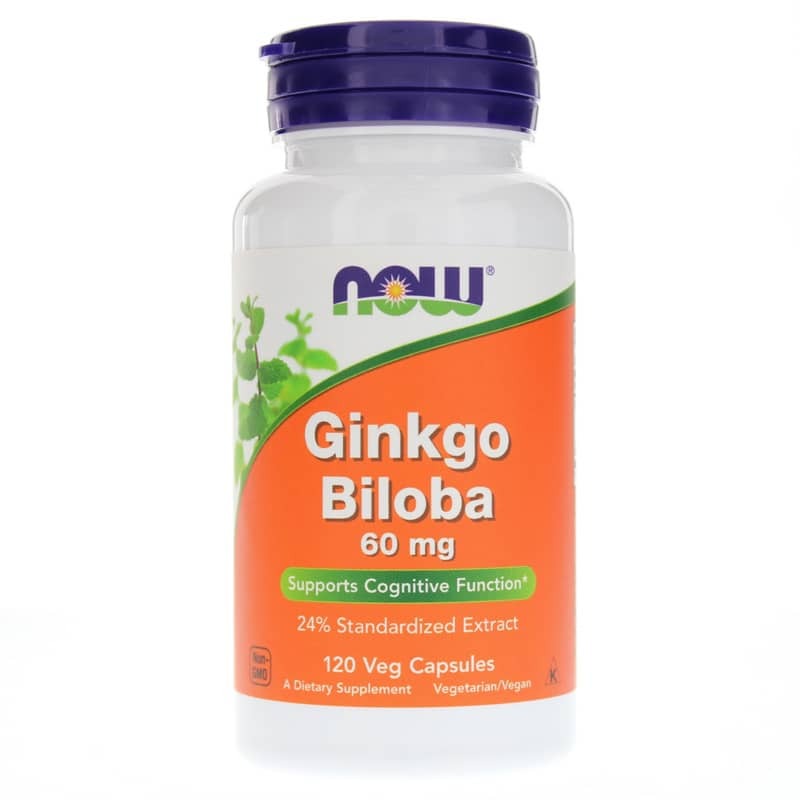 Ginkgo Biloba by NOW is an herbal focus and memory supplement that contains ginkgo biloba grown and extracted under the highest quality standards. Ginkgo biloba is standardized to min. 24% Ginkgoflavonglycosides and min. 6% Terpene Lactones, including Ginkgolide B, the most significant fraction, and Ginkgolides A, C and Bilobalide. 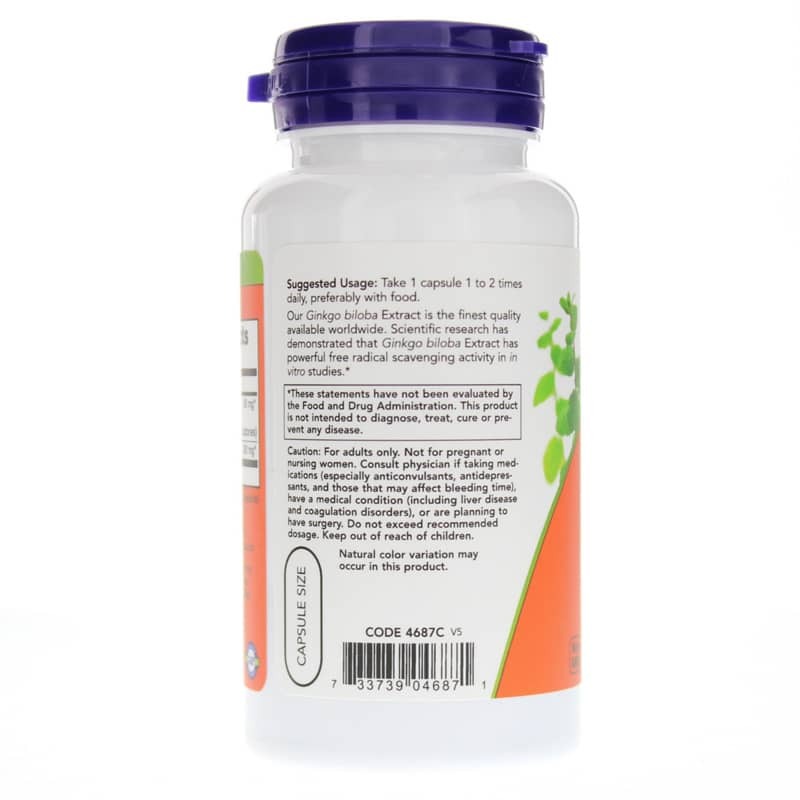 Other Ingredients: vegetable polysaccharide (capsule) and magnesium stearate (vegetable source). Vegetarian/Vegan. 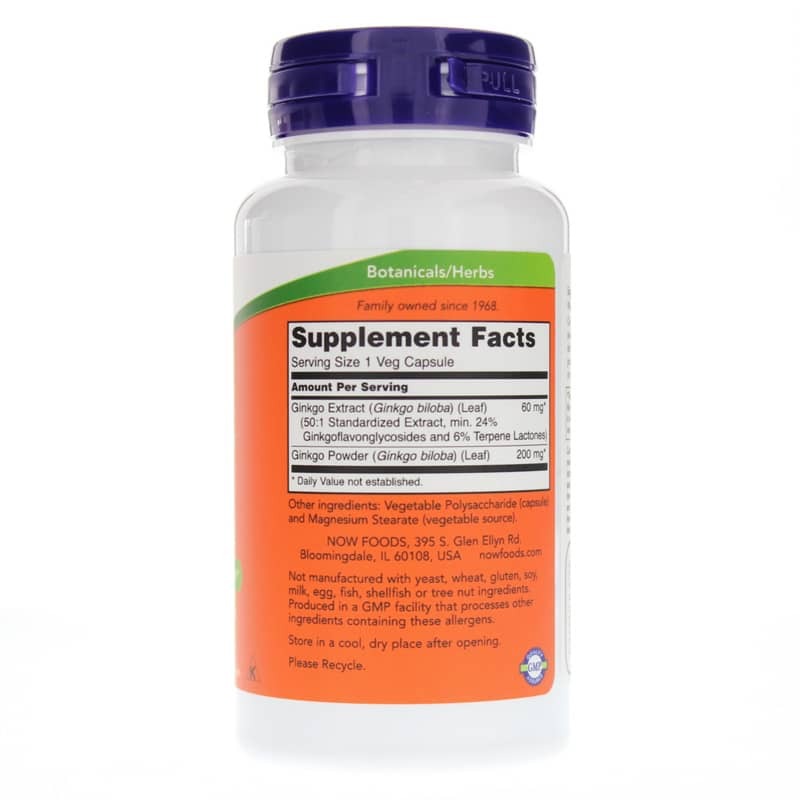 Adults: Take 1 capsule 1 to 2 times daily, preferably with food. For adults only. Do NOT use if you are pregnant or nursing. Keep out of the reach of children. Consult physician if taking medications (especially anticonvulsants, antidepressants, and those that may affect bleeding time), have a medical condition (including liver disease and coagulation disorders) or are planning to have surgery. Do not exceed recommended dose.